If you set a task, follow it through. It carries a certain weight to the words that a task you want to achieve, must be considered deeply before you affirm it and take action. Set a task and focus on the end goal. If you would just set a hundred different tasks and try to do them all, it’s likely that you will fail or do them poorly. You have not considered the consequence of what responsibilities you need to do to accomplish them. And it would be hard to accomplish them all. Set a task carefully and consider all the obligations that follows, for you to achieve it. Example: Say that you would like to have a great physique. What is a great physique to you? What is your goal? Do you want to compete, deadlift three times your body weight, have a six pack, or just lose some weight? How much time are you willing and need to spend on it? When you want to get a body that you are proud of, it often comes with new habits you might never done or thought about before. You might have to learn more recipes and become a better chef while making a habit of eating better foods with less meat and more greens. Being in the gym or outdoors following a workout routine with increased difficulty by weights or leverage with your own body making the exercise progressively tougher. To make more time for your new lifestyle you might have to cut down on Netflix and give up your video games. It might affect your current social life. Maybe your friends don’t like it and to achieve your goal you must decide to spend less time with them. Don’t worry if so, you will find new great friends in the gym to share your interest with. It might sound like a lot of things to improve to achieve your task, but know, that it’s worth it. Work on each separate skill and it comes together to a new interesting lifestyle with new knowledge that will help you through your life and increase your happiness. You will meet new people and make new friends. This is why you need to keep your goals simple and few, if you want to achieve them. At first it might be uncomfortable to break free from your old habits and end up procrastinating, but the more hours you put in, the easier it gets. You might break your new habit in the beginning, don’t worry. Just keep doing your task and reaffirm in your mind why you are doing it. Soon you will start to feel an itch when you think of skipping it, and get a really good feeling when you pushed through and did it! You will get more energy. You will become happier and keep a good mood through the whole day, because you are following your desire and what you want to do. You might even get a little angry, because the hours are not enough right now to work as much as you want to on your goal. Stay calm, and keep working on your desire. Soon you will find ways to have more time working on your goals, and how to reduce your distractions. It becomes easier to relax and enjoy that book you’ve been planing to read, or spend time with your family because you have no weight hanging over you of “that thing” you must do. It’s already done for today. Therefore easier to enjoy your leisure time. You will begin to form new ideas that will help you by bettering other areas of your life. By building new habits you start to expand your mind and knowledge of things you previously had no thought of. But she opened my mind and thoughts in a new direction I’ve never had. I began to think of the environment and whether I would become a vegetarian or vegan. Later I decided to live a vegan lifestyle and see if it was possible. And it was. It was hard in the beginning, but given time, it became a natural part of my lifestyle. At first I only thought about our earth, how to limit our waste of resources. But just a few months in, I began to think of the ethics of keeping and slaughtering animals when there is no need for it. The thought came to me as a surprise, as when I started this journey it was only about the environment. On your path to your desire, your biggest obstacle is yourself. One of the biggest obstacles is self doubt. Doubting whether this will make a difference, or give value to others people life’s. Ignore it and follow your habit every day with the knowledge that you are on the path of success. Know that you are already successful by following your desire in life. When you believe in yourself and your desire, nothing can stand in your way. You are happy to work long hours with no breaks. Food and eating is something that you forget about or an annoyance. Remember to set aside time to eat properly, to have strength to continue with your work tomorrow. The belief of others hold little importance, in fact they mostly hinder you by pushing negative thoughts or doubts in your mind. Listen to some of it, and ignore most of them. While you have faith in your work and habits you do every day, to achieve your goal and enjoy them fully. Only way to gain success, is to make time for your desire. How do you make time? Say no, to things not related to your goals. That means less netflix following your favorite tv show, less video games with your friends online, less time out partying and waking up with a headache and strong hangover. What you gain in return, is worth more then any hours playing video games. And after you have reached your goal you are welcome to play as much as you want. As you accumulate more success, overcome your many difficult struggles and achieve things you never thought would be possible in your wildest dreams. You just might not pickup the controller again. Because now you have 10 other things you would rather do with your life. I used to play a lot of video games. At times they were fun and challenged my ability to learn them and overcome their massive difficulty. And other times I played them because I was bored. Bored with the game, bored of my life, and still kept on playing. I knew everything about them and how to achieve my goals within them. I could use a level 1 character with daggers and given time, I knew I would complete the game. And yet I kept playing them because I was afraid to leave my comfort zone and do what I really wished to do. I’ve learned to never quit what’s uncomfortable. How I might procrastinate doing something and the thought of change is scary at times. Without change, we conform and get bored. Without change and goals we get depressed thinking what happened with our life as we look back through the years. It’s okay to fail, just do it again with your new found knowledge. When you ask yourself, what’s next? You probably know what your next step is. You are just scared of doing it, and what others might think of it. Ignore that feeling and do it anyway. Step out of your comfort zone and do what’s uncomfortable. To achieve your desire once you’ve found it, you need to make systems and habits. Create a lifestyle around them and see that they always get done. A small step every day, and over time you’ve taken a thousand steps without noticing it. Until one day you realize how far you’ve come. Whether it’s helping others, building a great body, earning money, creating great relationships, it all comes down to your habits and systems that you’ve put in place. With the habit you do every day and having your goal in front of you. there is no other way then success. Keep working every day and give it your best every time. If it drains you, you probably haven’t gotten good at it yet. Once you’ve done your new habit for a while you will begin to notice progress, and that progress will inspire you to keep on going. Soon you will look forward to building your skill and working on your goal, that you can’t wait to finish your work to get home and one step closer to your goal. It might be a struggle first to step out of your comfort zone. just start doing 5 minutes of habit of your desire, it will shift your mindset from “uh, I don’t even know where to start”, to “Wow! I’m working on this little step right now and begin to see where it will take me”. If not yet, go another 5 minutes, and another until you start to see the fun. As you keep on doing what you want, and building that habit of working and thinking on it every day. You start to form more and new ideas. Every thing you do seem to come together in little spurts of clarity as you keep on expanding your comfort zone. It might come to you while you are doing something completely else. Last couples of days I’ve gotten at least one great new insight of something every time I’ve taken a long cold shower. Give your task serious thought. Is this something you want to achieve? Is this something you can make enough time for? Set a big goal that you’ve dreamed of long to achieve. Deconstruct it with small goals on the way, how you will achieve your big goal. Get a bike it’s fun! Why should you get a bike? Because it gives you freedom. And it’s fun! How many times have you been stuck in traffic and wanted nothing else then banging your head against the steering wheel, drive up on the shoulder and pass everyone? Or just get out of the car and leave it right there. I know I have. Think, if you could set your own pace in traffic. If you want to go fast, pedal hard to feel that awesome burn in your legs and lungs. Feel that adrenaline rush taking that sharp turn going downhill and thinking how fast can you go and being able to slow down if a car comes around the turn. Or just get on the bike to enjoy your evening after work. Just riding where you feel like. Maybe around your neighborhood taking a left there, a right there going with the flow. 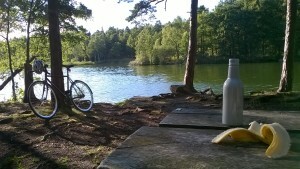 Stopping near a lake and walking with your bike in to the forest, to sit down by the lake for five minutes, or an hour. No worry about parking spots. 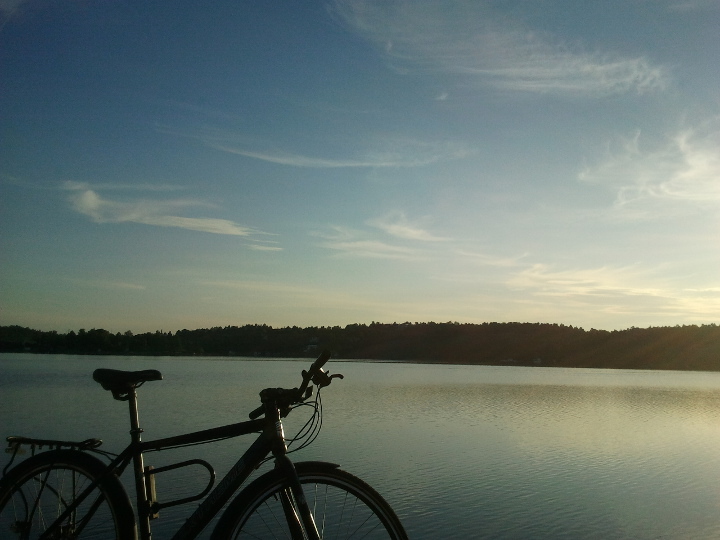 If you had enough of pedaling, just get off and stretch your legs and take a walk for awhile. With a bike there are less obligations to follow and more freedom. Maintenance is simple and costs less than $50 a year. Maybe you don’t know much about maintenance yet, but bikes are simple and it’s easy to learn. There are lots of resources online and books you can borrow. Youtube is a great place to find full how to guides to solve every problem or question you might have. Once you’ve managed to fix a difficult problem, you get an immense feeling of satisfaction that you actually did it! What kind of bike to get? Depends on what kind of person you are and where you would like to ride. Are you more into riding bike trails in the woods, going downhill or the open roads and go long distance? How is the terrain around you, lots of flat roads or big hills to climb? Maybe you live in the city and just need a simple bike to get from A to B. If you have little experience with bikes, it could be easier to start with a new bike and learn to take care of it as you go. You might get overwhelmed with a used bike although there are great bikes up for sale. How many gears do you want? Many gears is nice because then you can play and feel how fast you like to keep your cadence and keep it at a constant rate. Lesser gears gives you less to worry about and might be easier to manage. Or just go with a single speed bike. Maybe a bit tougher up step hills, but you might like it especially in the city or on long country road trips. Get a bike that screams “CHOOSE ME”! I would recommend you to get a bike that immediately screams “CHOOSE ME!”. Your feelings about the bike comes first, second is the price. Go to two or three different stores and see what they have. Imagine yourself riding it around your neighborhood or where you want to ride. Just get a bike that feels and looks great and don’t worry, you can always sell it three months later if you don’t like it. When you love your bike, it’s easier for you to get on it more often! As a kid I had a green bmx and my last bike was a city-hybrid. Now I ride a fixie with drop handlebars and love it! 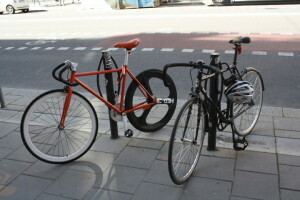 A “fixie” is a fixed gear bike with no coasting and single gear. When the bike moves, so are the pedals. Since I changed from 24 gears to single gear I’ve never missed them and love it. Whats truly amazing is the connection you get with nature. 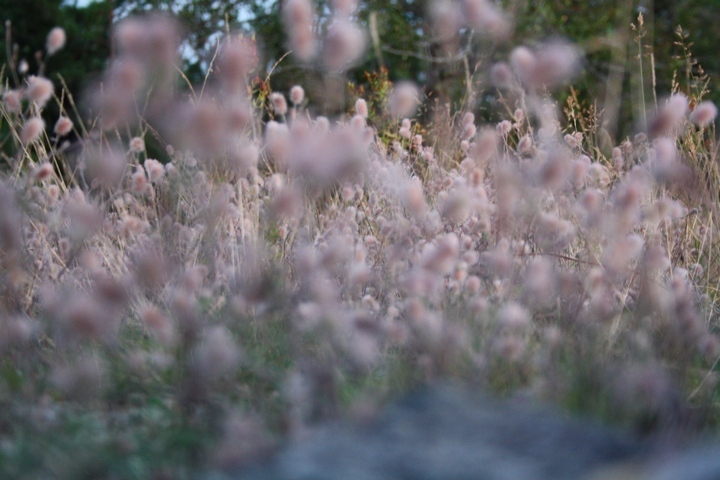 You feel the wind against your face, smell the air, the leaves and a hint of new cut grass. You hear the leaves rustling in the wind, the birds singing, and the traffic around you. You get completely new understanding how precious our life is compared to driving a car. In a car you are disconnected from nature in a metal box and mostly passive without giving much effort. You want to go fast driving a car? Just push down with your foot on the gas pedal. With a bike it gets more real. To go fast you really need to push yourself and be active! And the more you push yourself, the faster you can go! It might not be so fast in the beginning, but you will be surprised, after awhile you suddenly have a pretty decent pace without even trying to and your stamina is greatly increased. It’s safe to bike if you follow the laws and ride predictable. and it will increase your lifespan by several years. As a bonus you get more time spent outdoors. If you live far from work, think about how you could bike part way. It will save you a lot of money and stress depending of how much you can bike. Suggest to your family and friends for a bike ride to the beach or down town for a coffee in the park. I bet they will love it! Tell me, what’s your best ride you’ve had, or where you would like to go.